The Stihl MS 290 chainsaw is a useful tool for working around the house, particularly when landscaping. When operated correctly, the Stihl MS 290 will start without problem. Under certain conditions, particularly if the chainsaw is used regularly and not maintained, you will have trouble starting the Stihl MS 290. 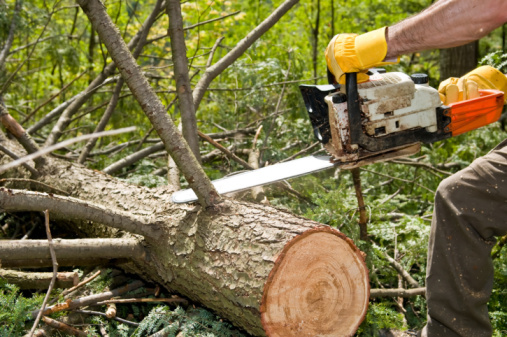 By troubleshooting the chainsaw, you can often return it to normal working order without the need of a service technician. Check the fuel level in the tank. You must use a gasoline and two-stroke engine oil at a ratio of 2.6 fluid ounces of oil for every gallon of gasoline. Clean the air filter to ensure the engine receives enough air. To clean the air filter, press in on the throttle trigger interlock, located on the front of the Stihl 290, and move the "Master Control" lever to "Cold Start." Twist the knob in front of the rear handle counterclockwise and remove the carburetor box cover, which is the rear part of the chainsaw, off of the device. Pull out the prefilter, which is the thin, tabbed part behind the air filter. Loosen the two nuts in front of the air filter and pull out the air filter. 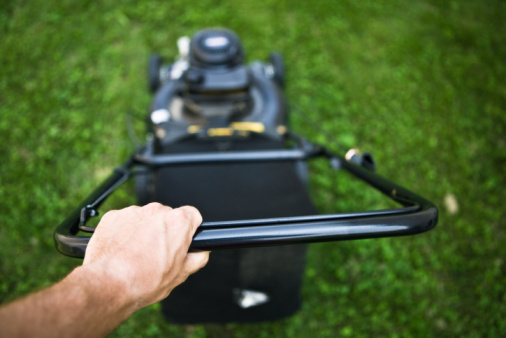 Tap the air filter against your hand to remove dirt and debris, or use compressed air to blow out the filter. Reinsert the air filter and tighten the nuts. Leave the prefilter out of the chainsaw to complete Step 3. Pull off the spark plug boot and remove the spark plug with the spark plug wrench. Clean off the spark plug with a clean, dry towel and check the electrode gap with the spark plug gapper. The proper gap measurement is 0.2 inches. Reinstall the spark plug and attach the spark plug boot. Replace the prefilter, attach the carburetor box cover and tighten the knob in front of the rear handle. Press down on the decompression valve button located below the front handle on the left side of the chainsaw. You should open the decompression valve every time you start the engine, whether it is a cold or warm start. Push the hand guard, which is located behind the front handle, forward to set the chain brake. The engine will not start if the hand guard is not moved forward.